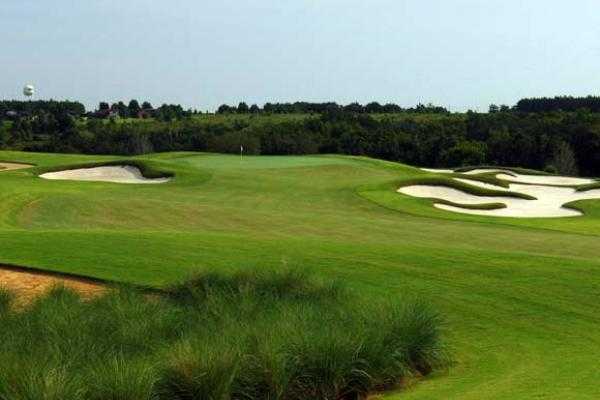 The course is set on high, hilly terrain and rolling dunesland that affords 360-degree views of the lake and surrounding hillsides that is uncharacteristic of the area, making for a dramatic setting in central Florida. 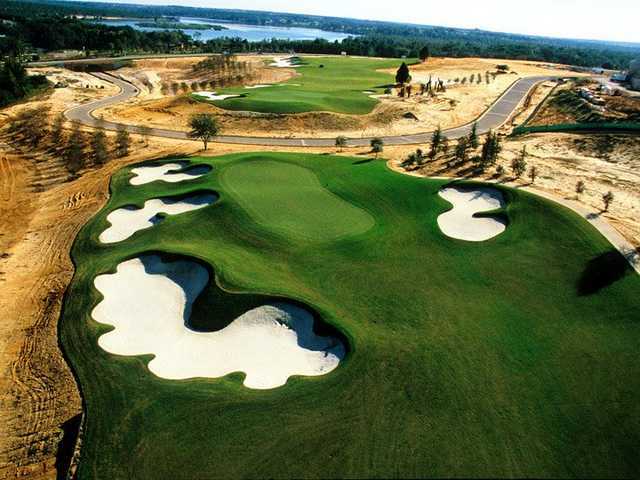 Voted "Clubhouse of the year" by Golf, Inc., the 60,000-square-foot building is home to a 19th hole, spa and pool room. Golf school / golf academy: Yes - "Bella Golf Academy"
This place was really special. Greens were perfect. The layout can seem intimidating, but there is room out there. The amenities are a level above. 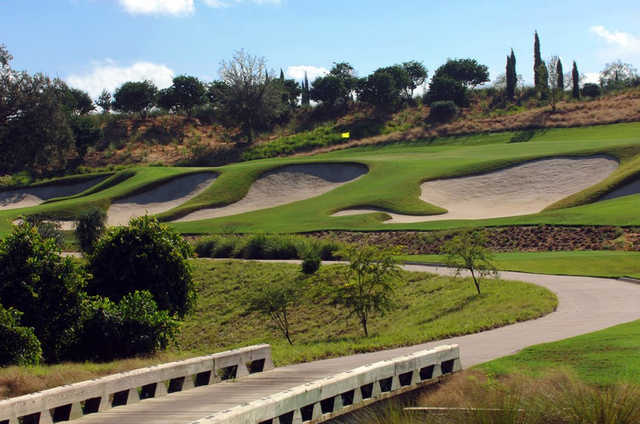 This is a must play golf course. As a golfer all you want to be comfortable and enjoy the experience. But my experience was not good. Poor services. Just experienced this wonderful tract while visiting the Orlando area. Fabulous facilities, with sauna's in the locker rooms and on course bathrooms fit for pope. Really Special. Friendly cart guys with lots of good pointers on play. Free range balls/use of range made for a good warm up. I'm the kind of golfer who likes to hit 15 balls per club before play. Think there are 7-8 different tee boxes [? ], which makes the layout challenging for any level and age. We played on Sunday while the API was going on. So the course was near empty. Online booking was cheapest option $60. with cart! This soon to be all private course is something you don't want to miss. Great for corporate entertainment/outing. Just call orooro shop for help finding the right entrance. Google led us to closed main gates.. Doh!